In January 2003, a communicable disease with a mortality rate of 15 per cent, equal to medieval smallpox, erupted into a world that thought it had the capacity to control such infectious diseases. SARS crossed species boundaries and affected human beings, causing a wicked problem locally and globally, environmentally and professionally. Initially, it could not be clearly defined from previous experiences of disease transmission. Its onset was connected with the local Chinese diet of wild civet cats, and its immediate effect was to cause breathing difficulties. It spread at an unprecedented rate. The highest mortality rates were originally, and surprisingly, among the higher-income residents and health workers, who are usually lowest risk. The high infection rate and mortality rates were of immense concern, both locally and as a precedent for the future (ethical). The existence of the public health threat was not apparent for three months, which gave the disease time to reach 27 countries. SARS spread globally as rapidly as it did due to the disparity in public health resources, high urban density, and the ease with which humans have been able to move around the globe in recent decades. The World Health Organisation (WHO), in collaboration with national governments and affected communities, coordinated a global surveillance and research information system, to come up with a coordinated, holistic response that respected global integrity beyond any one way of knowing or any one jurisdiction. It sent teams to every stricken country and region, and worked toward a shared understanding of the human condition in the new global context. WHO enlisted many experts and communities to build a nested understanding of those complex factors and how they related to each other. Combating the spread of SARS involved a collaboration by networks of clinicians, pathologists, epidemiologists, sociologists and administrators – both in their own right and together. At the turn of the millennium, Google emerged in cyberspace as the first ‘relational’ search engine, using collections, rather than divisions, to bring its information together. Today, there is a verb ‘to google’, meaning to gain access to the full range of ideas that can explain understanding of a topic. The knowledge gained from a synthesis-based system like Google is very different from that of an analytic system, such as a dictionary or a reference library. In an analytic system, the information gained flows sequentially from a given topic. You choose a topic A, look for a definition in C, and follow the trail to sub-sub topic D, and possibly research in even further detail, until you find the precise application for which you were looking. Try googling the word ‘synthesis’ for yourself right now. A search with synthesis in mind is quite different. The googled themes below are not a random list of unrelated items – they form an interconnected pattern. That pattern includes science, art, politics, information technology, social customs and environmental systems. 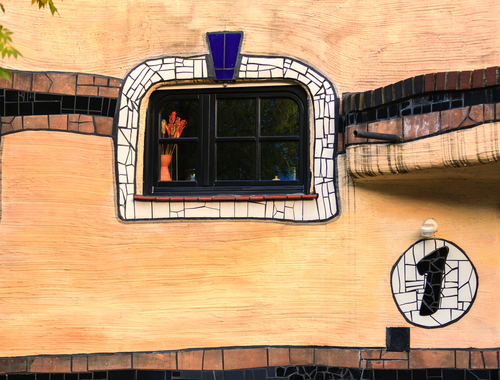 Every theme makes a different contribution to the whole. Taken separately, the items lead to 12 different interpretations of synthesis. Taken together, they represent the key dimensions of change in Western culture at this time. 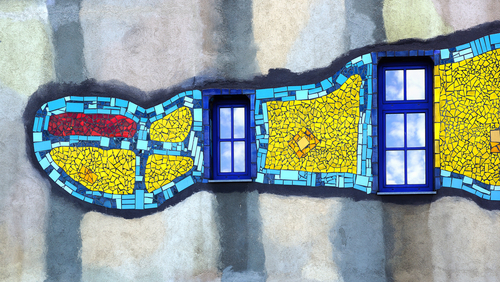 Are you interested in other collective thinking stories? 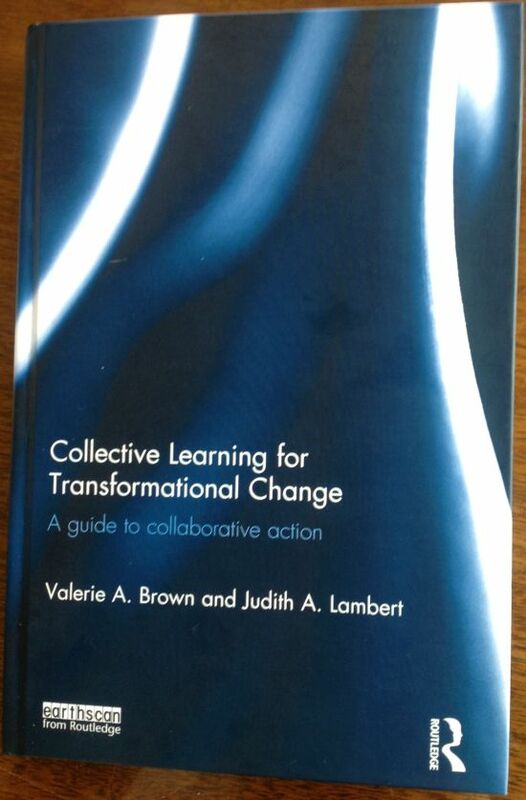 In Collective Learning for Transformational Change, Valerie A. Brown and Judith A. Lambert outline a number of case studies where collective thinking has been employed to achieve transformational change. 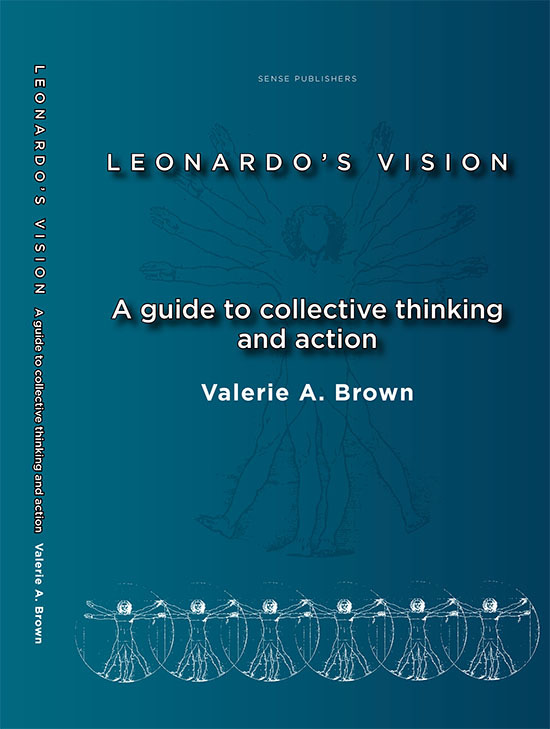 In Leonardo’s Vision: A guide to collective thinking and action, Valerie A. 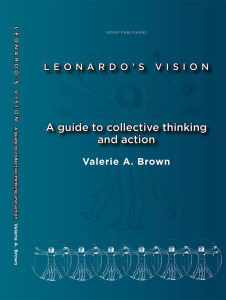 Brown discusses examples of collective thinking being applied in practice.